Acrylic and pencil on watercolor paper. Signed on bottom and back. 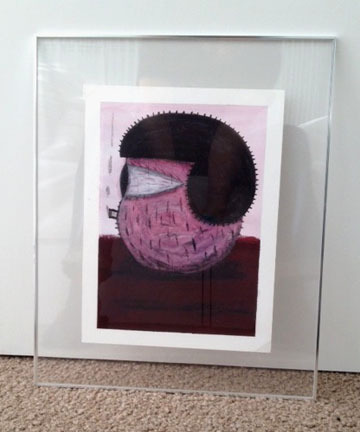 Framed in modern plexiglass and steel floating frame. Art measures (without frame) 9"x 12". With frame it measures 13 1/2" x 16 1/2". Piece without frame is $100. Framed piece will be shipped via UPS.